Fifty business and investment leaders united for the SunCoast Angels VIP Launch at Circa Rooftop Bar, Maroochydore on Wednesday, March 6 from 4.30-6pm. Suncoast Angels provides emerging businesses with seed and startup capital through direct, private investments. 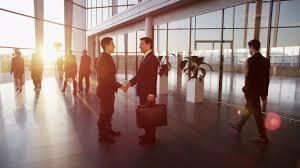 In addition, it offers introductions between budding entrepreneurs and investors essential to each company’s success. RDA Sunshine Coast is now proudly partnering with SunCoast Angels to support high-growth ventures on the Sunshine Coast. The group holds regular monthly pitch meetings and other events. For more information, visit http://www.suncoastangels.com.au/. This entry was posted in News and tagged Business, Entrepreneurship, innovation, investment, RDA Sunshine Coast, startup, SunCoast Angels, sunshine coast.